TYCO Roofing & Constructon: Residential & Commercial. General Contracting. "TYCO Roofing not only talk the talk they walk the walk! Our storm damage amounted to more than just the roof and Tyco took care of the whole job, dealt with the insurance company and made us very pleased customers! We cannot say enough good things about them!" 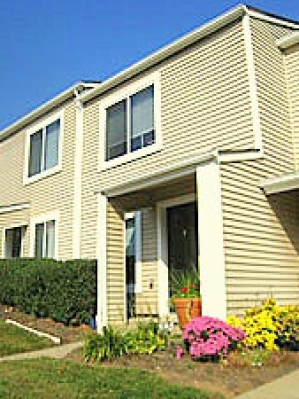 "I was very pleased with the work Tyco did on my house. Very professional, arrived on time and delivered what they promised. I can honestly say the best company I have worked with from start to finish. I would highly recommend Tyco for any roofing, gutters, fencing or painting needs you might need." "Roof looks great. Nice work!!!! We appreciate the hard work you and your crew did!" "Just wanted to take a second and say thank you for the great new ROOF I received last spring. Your guys and you were 100% professional and skilled at your craft. We have been extremely pleased with the time and effort spent taking the old roof off and replacing with the new roof. Thanks again, you guys are the ones I will contact. Have a great day." "The personal service of Tyco is a rarity in today’s world. The way they go above and beyond to make sure every last detail is correct is wonderful, especially when it comes to the biggest investment of your life!" 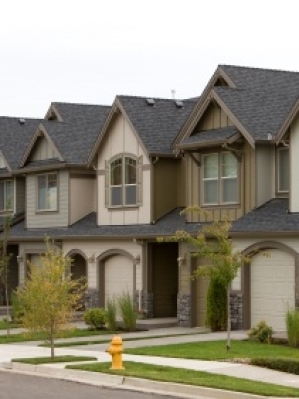 "If you need a roofing company TYCO is the one to choose. They did an exceptional job on my roof from start to finish. From dealing with the insurance company, going over upgrade options with me, installation and final cleanup. TYCO handled everything expertly. I can not recommend them enough. Thanks again TYCO!" "When we had our roof damaged earlier this year by a storm, we have several bids to replace it. TYCO really distinguished themselves in their professionalism, respect, price, and the simple fact that they did not simply want to replace our roof with a take-the-money-and-run attitude. They sincerely wanted to put the best roof on our "home" for our family. They offered options and solutions their competitors did not: for example the ventilation and alternatives to traditional roof felt - both of which were superior but added no additional cost. Our TYCO salesman prepared us in advance for the installation and was onsite multiple times that day. When it was all said and done, TYCO worked well with our insurance and gave us the best bottom-line price and the best roof." "TYCO provided professional, quality, and reasonably-priced service. I would definitely recommend them!" 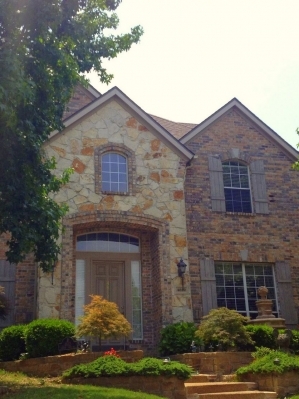 "We were in the process of selling our home and were asked to replace our original roof before closing in two weeks! We chose TYCO for all the great reasons you choose a company: Expertise, Professionalism, Immediate response, Cleanliness on the job, Quality product, and Excellent Communication – TYCO has it all! 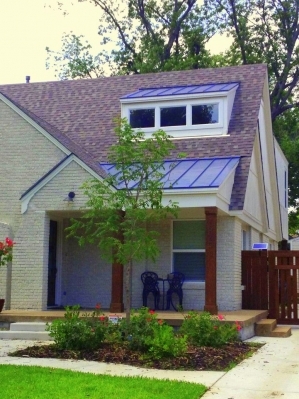 We closed on time and TYCO provided a beautiful roof for the new owners of our home! 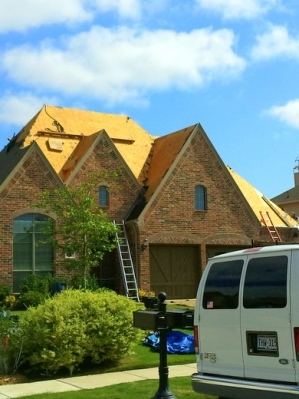 Janice and Craig D., Plano"
"When our roof was damaged by hail, we had roofing companies knocking on our door daily. We knew that we needed a company that was professional, responsible, and with the experience to handle our insurance claim. That is why we sought out TYCO. After a number of referrals from satisfied TYCO customers, we knew that this company was exactly the right choice for our house. The process was handled with no a no nonsense approach, and TYCO dealt directly with our insurance provider to make sure that the estimate was appropriately adjusted as needed. 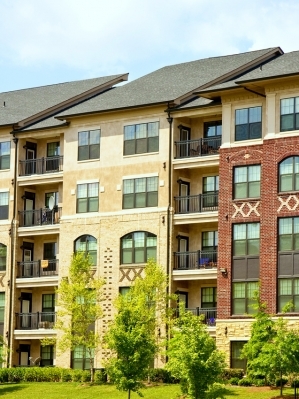 All of our questions were answered directly and without delay, and TYCO actually assisted in informing us of the right products for the roof replacement. The work was completed on time, with excellent workmanship, and most importantly the workers took great care in cleaning up after they finished. We would highly recommend TYCO to anyone needing a roof replacement, and will be using TYCO to install new gutters on our house next spring." 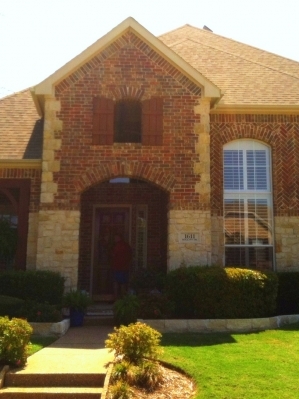 "Tyco provided roof replacement and gazebo repair for our home in N. Dallas and did an outstanding job. The scope of work, materials, schedule, and financials, were fully reviewed with us and aligned with our expectations as a customer. The actual work was managed properly and carefully monitored by our Tyco representative. Excellent Job!!" "Tyco was a wonderful company to work with on my hail damage claim. They took care of all of my needs and made it a very easy process. They exceeded all of my expectations." "Tyco Roofing did a great job on our roof replacement. 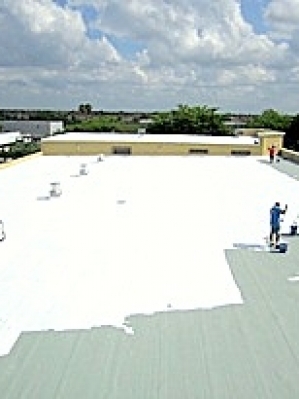 Tyco takes care of every aspect of a roof replacement job. The Project Manager was on site and available for any questions or concerns we had. 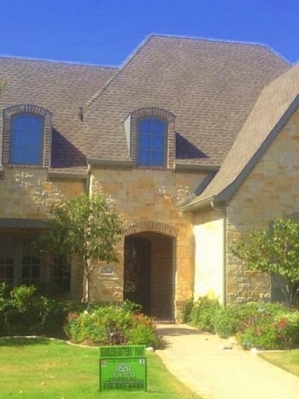 I am confident in recommending Tyco Roofing to all my friends, family & neighbors." "Frankly, I have never been so impressed with a company as I have with yours. The entire roof looks great and the leak we had in our utility room stays completely dry as we just witnessed during the past few days of heavy Rain. Your employees were always on time and very professional in their work and always put in the hours during the day to get the job done. The extra work you did on our patio doorway that was leaking has also been repaired and now stays dry and looks great. Thanks again." 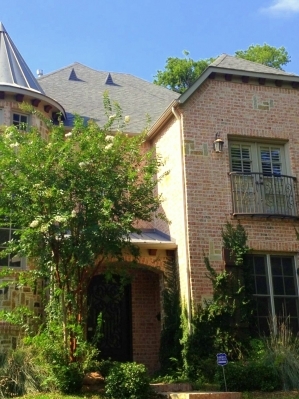 "Not having ever needed a roof replacement previously this was a big project for us! The `TYCO TEAM` members made the project go smoothly without a `hitch` or surprise. From the initial inspection to working with my insurance company, scheduling the installation, providing oversight of the installation and insuring the outdoor areas were as clean and neat as they were before you started. Everything was completed on time and better than promised!" "I have been a salesman most of my adult life ( over 34 years). When someone takes initiative and takes chances to serve me as a customer it does not go unnoticed. My reaction to a door ring is probably like most other people today. We like our privacy too much and it creates undeserved hostility when you show up to make a living. It was with reservation that I let you make the inspection but I do appreciate that you were early, aggressive and that all you expected in return was a chance. Thank you for the fine service." "Thank you Tyco! Our roof was totaled during a hail storm and had to be replaced. We chose Tyco and I'm glad we did. They made the process very easy and were very knowledgeable, responsive and thorough. When they finished there was NO evidence of trash anywhere around our house. Tyco also painted our house and did an outstanding job on that too. We definitely made the right choice by choosing Tyco and plan on using them in the future." 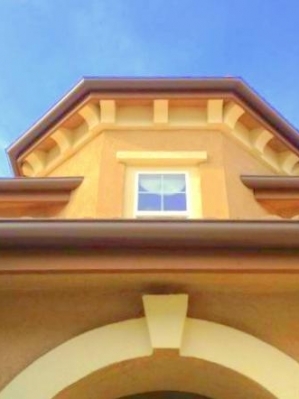 "Tyco installed a new roof on our 14 yr old home, complete with new gutters and downspouts. They also painted the trim and siding to match perfectly. 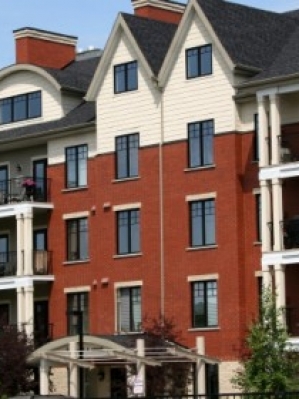 We were very impressed with Tyco’s professionalism, integrity and knowledge. Great service from the first meeting to job completion, with updates and follow-up along the way. Crew is efficient and meticulous." 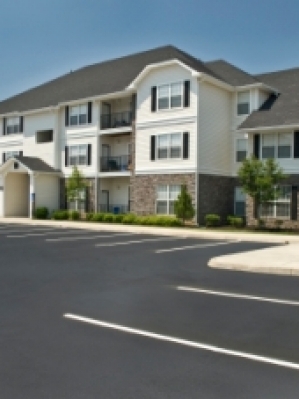 "Our experience with TYCO was exceptional! 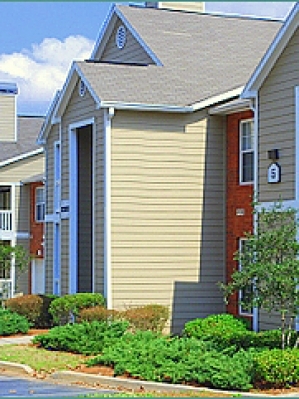 Our home was severely damaged in the 2011 hail storm and we chose TYCO to perform the repairs. The service was quick and professional, the quality of the work was A+, and the follow-up was more than we expected! We were told what would be done, how itwould be done, and when it would be done, and it happened as promised.We will definitely use TYCO again should he need arise." 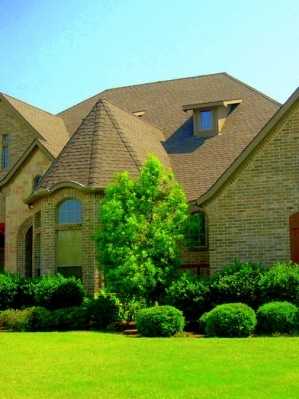 "Tyco Roofing followed through on every part of replacing our roof. They spent hours inspecting the roof, dealt with our insurance company, and supervised the work and cleanup until completion. We would highly recommend them and trust them implicitly! Thanks, Tyco!!" "Steve and his crew were very professional and I love my new roof – Tyco worked with me on everything from finding the perfect color and design of the tiles to working with my insurance agency to upgrade their quality with no extra out of pocket expenses. It is refreshing to have such a great experience with a contractor. I will not hesitate to refer them to all my friends and family." As construction industry professionals Tyco was started with a firm commitment to quality, honesty, integrity, and the advancement of trust in the marketplace. 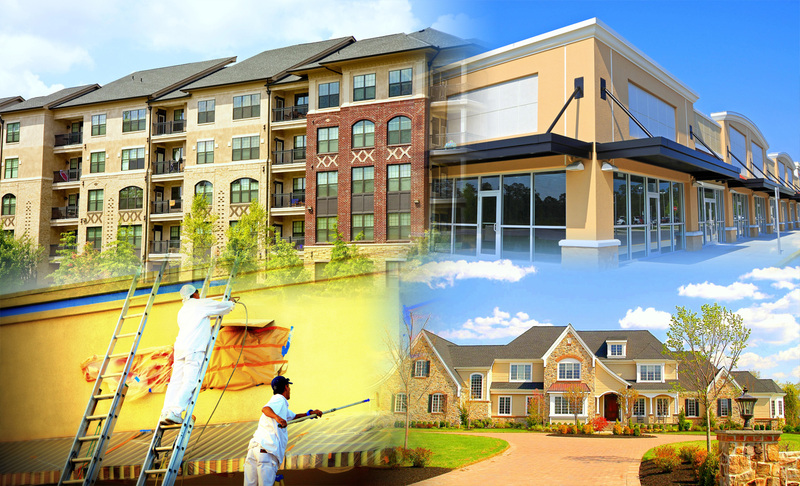 We have provided quality commercial and residential construction since 1992. Our construction expertise and more than three decades of combined experience insures top quality craftmanship, trust worthy advice, and industry leading results. We are an A+ Accredited business with the better business bureau. Tyco's field specialists and all our staff members are highly trained and dedicated to providing personal customer service. We have the knowledge and experience in working with all insurance providers and will make your claim process simple. 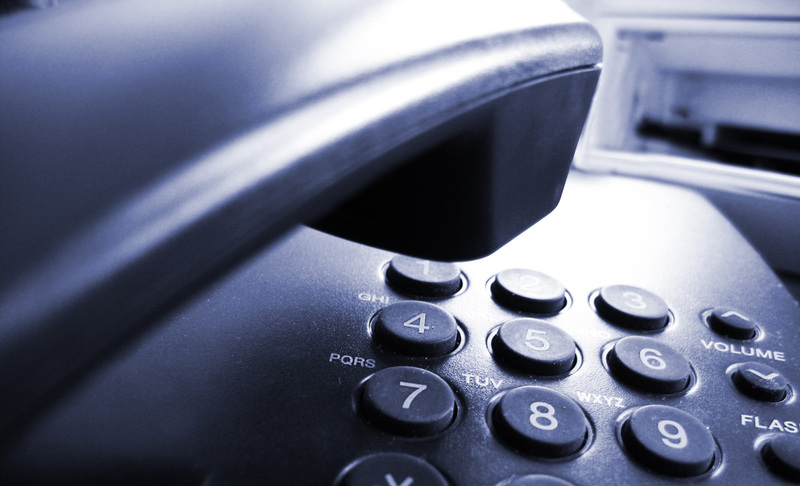 We will manage your documentation and repairs from start to finish while maintaining an open line of communication. 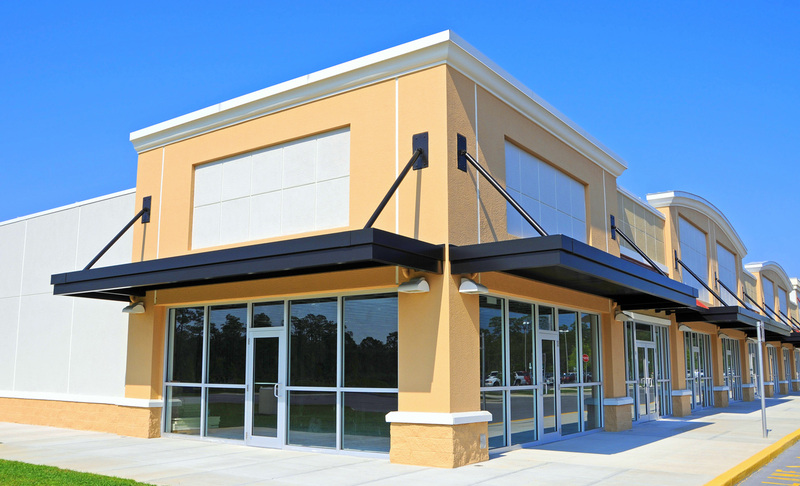 Click on the video to learn about "Commerical Roofing & Services"
We have served the largest retail companies in the nation since 1992. 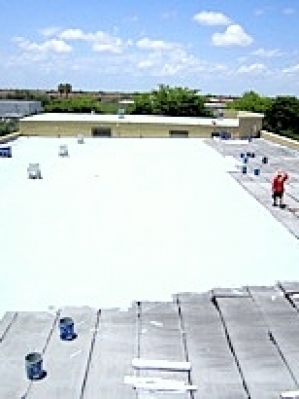 •Steep/flat roof applications and repairs. Our leads and crews are highly trained in all existing roofing products, while staying up to date with the newest commercial roofing product innovations. 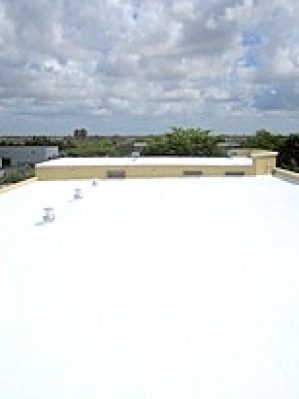 There are seamless roof systems that have a 5 year ROI and can be installed over existing roofing materials, eliminating the removal cost and process. 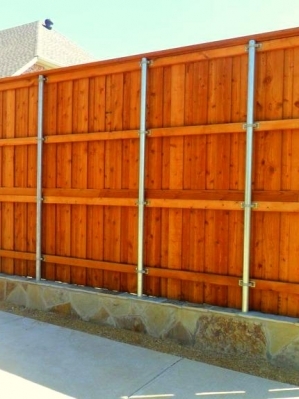 We utilize these products when possible, we believe in the quality and durability of these materials. 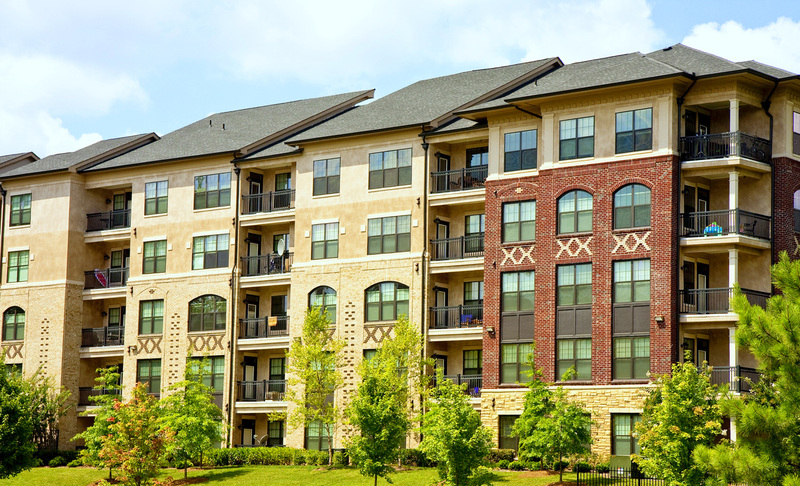 No matter your business or building size, we are the solutions experts you can rely on.We will work with you to develop a customized roofing plan that fits your exact needs for any commercial project. Our successful track record allows you to depend on TYCO to get the job done right the first time, on time, and within budget. Click on the video to learn about "Residential Roofing & Services"
At TYCO, we pride ourselves on consistently delivering the highest quality roofing systems and the utmost craftsmanship to our clients. It is no secret that the roof helps protect the biggest investment most people will ever make in their lives. This is not something we take lightly. We understand the importance of each project and will help in every way possible in choosing the perfect roofing system. Our team is fully trained to assist customers through the entire insurance claims process. We have worked with every insurance company and can make sure you are getting the fair treatment you deserve. From meeting with adjusters, to adding on additional items missing from a claim, we can make sure the process runs as smooth and efficiently as possible. TYCO mantains multiple crews of the highest quality tradesmen. Utilizing multiple crews gives us the unique ability to combine our efforts on larger projects and expedite the construction process. 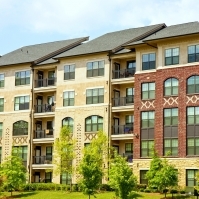 We have the experience and knowledge to make any multi-family project easier on you and your residents. We will do our very best to allow the community to function as normally as possible during the construction process. 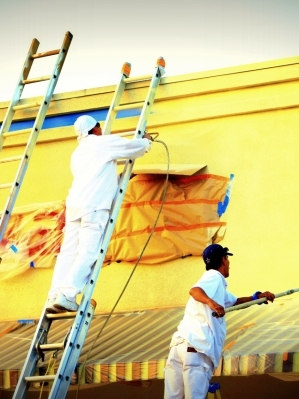 From exterior paint and siding to full insurance restoration, our highly trained crews can handle all scpoes of work to fully restore any multi-family or condominum building. Accurate measurements equal accurate estimates. We use a precision measuring system when estimating cost and materials needed for our roofing projects. We combine satellite imagery and cutting edge technology to provide our customers with a guaranteed accurate estimate every time. This allows us to create an estimate with confidence, while giving our customers peace of mind in knowing that change orders or additional costs will not be an issue. 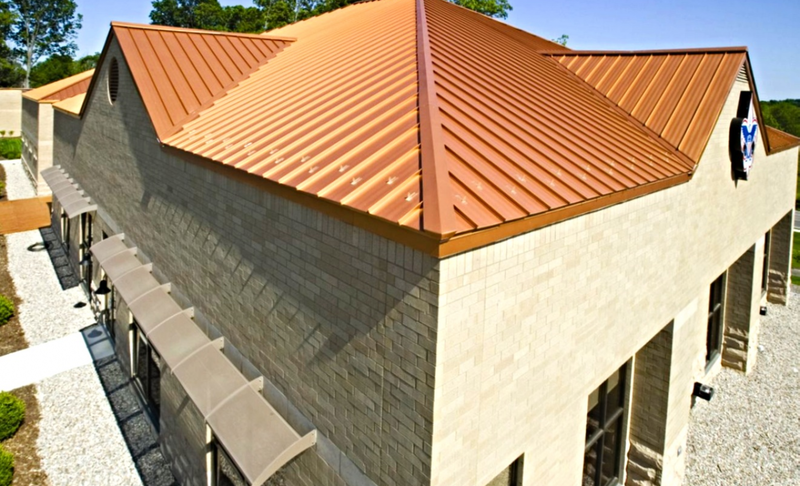 We offer a varitey of options to replace or restore existing metal roofing with standing seam metal, Decra stone coated steel, and energy efficient metal restoration products. 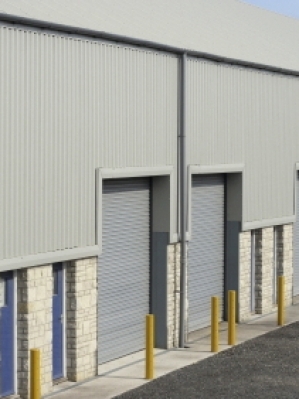 In most projects, a metal roof can be installed right over the existing roof, eliminating costly and time-consuming tear-offs. Owners do not need to close the building or keep out employees from the area being re-roofed. In both new construction and re-roofing projects, the installation is far faster than with many other products. We’ve seem a standing seam metal roof provide 20 years and more of trouble-free life with little or no maintenance. This metal roof is designed to stand up to rain, wind and snow. 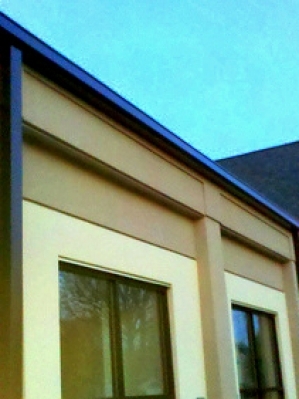 The seam “stands” above the roof's drainage plane. 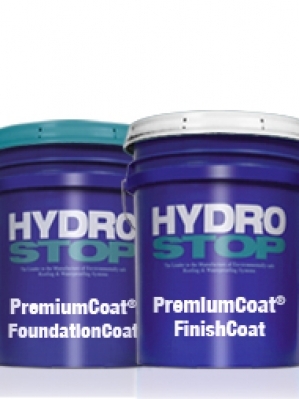 This effectively solves the ponding that trouble flat roofs. To existing roofs, a sub-frame is attached to provide pitch to the metal standing seam roof. Standing seam metal roofs are designed for stability in high winds and have passed wind uplift tests. The fire rating is the highest in the industry - Factory Mutual Class A—which can reduce insurance rates. The metal standing seam roof was introduced 25 years ago, and its engineering has been constantly upgraded. If your older version is reaching the end of its anticipated performance, we can install a new one or provide a new technology to extend its life. 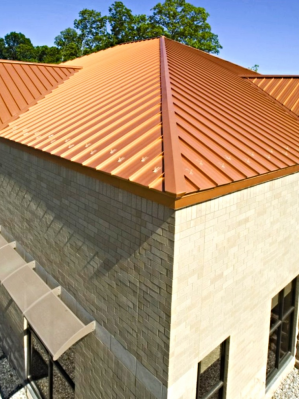 Metal roof coatings take an aging roof to a new level of durability and usefulness. 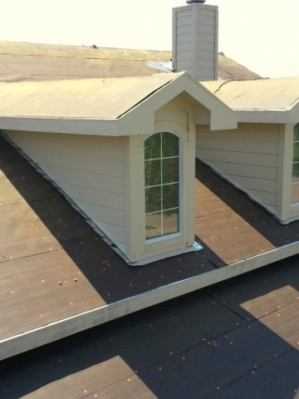 The roof is coated with layers of elastomeric protection, eliminating all leaks and averting rust, while transforming your old metal roof from an energy-waster into an energy efficient money saving system. Metal roof coatings are the innovative and most "bang for your buck" solution for commercial, industrial, farm and ranch metal systems. 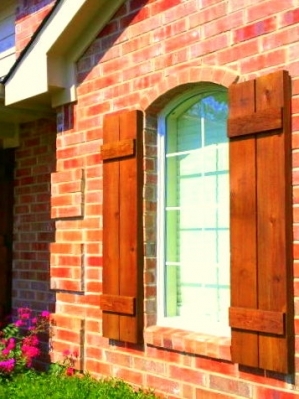 Offering the beauty and style of wood shake, Mediterranean Tile, and classic shingles in these lightweight components of stone coated steel. 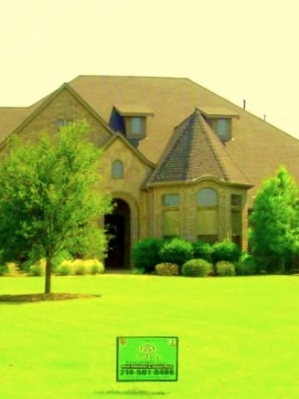 A DECRA roof adds a unique elegance and style to any home. DECRA Tile is pressure formed aluminum-zinc alloy coated steel with an acrylic bonded stone chip finish. 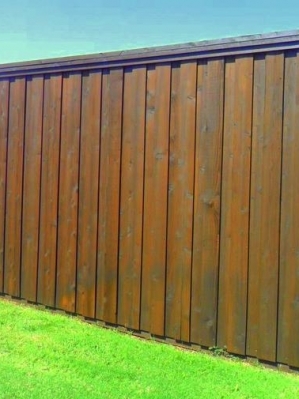 The stone coating resists fading and UV penetration. 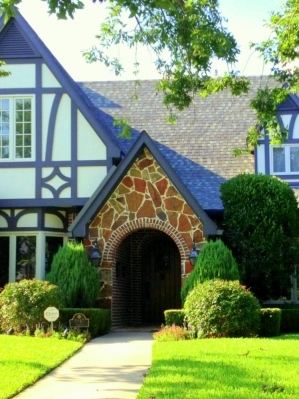 With a long-standing reputation for performance, longevity and versatility, DECRA stone coated steel is an ideal alternative to traditional tile products and standard asphalt shingles. These also are eligible for an annual savings up up to 35% on your home owner's insurance. Cool Roofs & TYCO is Going Green! What is a "Cool Roof"? A cool roof reflects and emits the sun's heat back to the sky instead of transferring it to the building below. 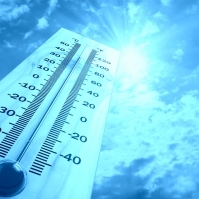 "Coolness" is measured by the two properties, solar reflectance and thermal emittance. Both properties are measured from 0-to-1 and the higher the value, the "cooler" the roof. 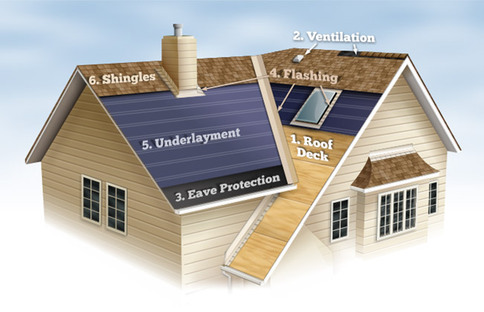 What are some of the benefits of having a cool roof installed? TYCO is proud to do its part in going green and protecting our environment in the future. 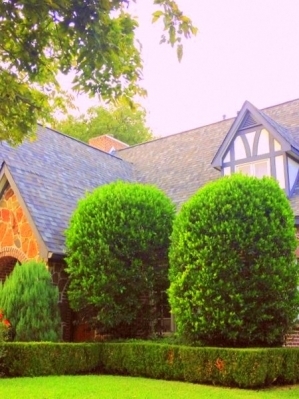 We believe every company should be making a conscious effort to conserve with the different types of products and shingle diposal methods they use. 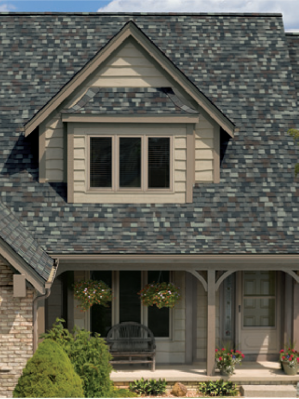 We recycle most of our residential asphalt shingles. This helps save space on public landfills, reduce carbon emissions, preserves our natural resources, and the asphalt can be used to pave new roads in our area. 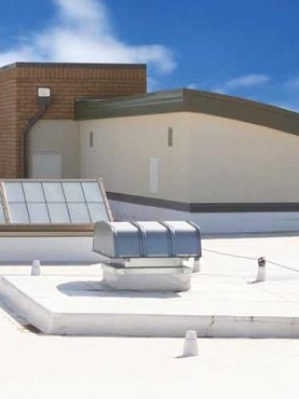 Our cool roofs are installed to reflect and emit the sun's heat back to the sky. 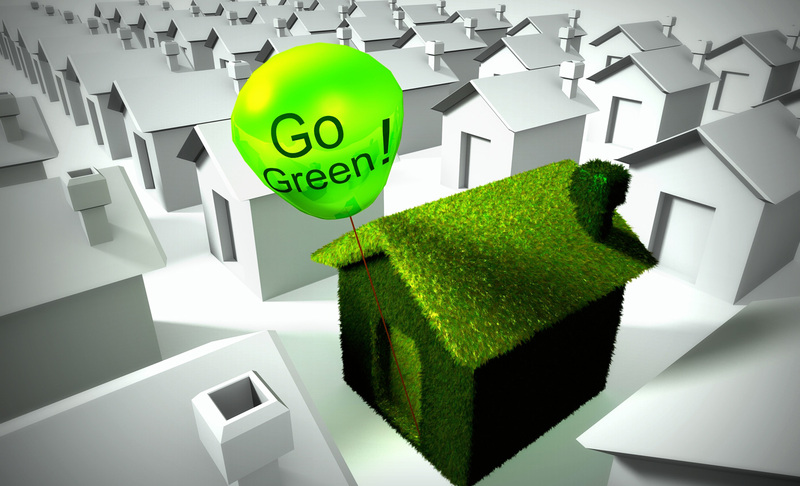 With energy being 30% of the typical building's cost this can save money and energy. Cool roofs also help lower ambient temperatures which helps reduce "The Urban Heat Island Effect". We provide customers with the correct quantity of ventilation to cool their attics. Proper ventilation will save the customer money on energy costs and makes the home much more energy effecient and comfortable. Our construction expertise and more then three decades of combined experience insures top quality craftmanship, trust worthy advice, and industry leading results. 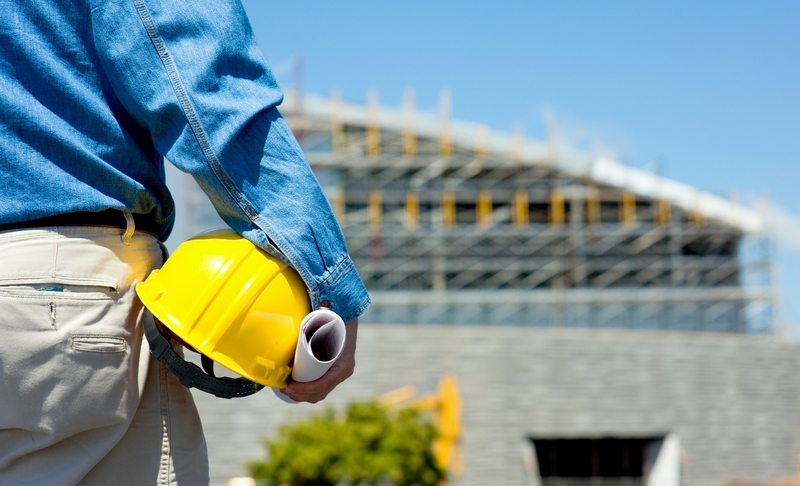 We handle all general contracting needs for commercial and residential projects. 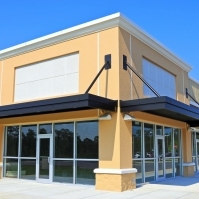 Tyco General contracting: We have provided general contracting for commercial retailers like Circuit city, Blockbuster, Ford, Carmx, Albertsons, Winn-Dixie, Verizon, and Home Depot. 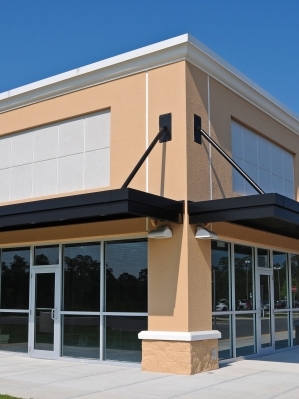 We can handle all of your commercial office finish outs and redidential rehab projects. As construction industry professionals, we started Tyco with a commitment to quality, integrity and customer service. We have been serving Dallas/Ft.Worth since 1992. Our construction expertise and almost three decades of combined experience insures top-quality craftsmanship, reliable service and trustworthy advice. We are Accredited and A+ Rated with the local Better Business Bureau. Tyco's field specialists and all our staff members are highly trained and dedicated to provide personal and impeccable customer service for every roofing system we install. 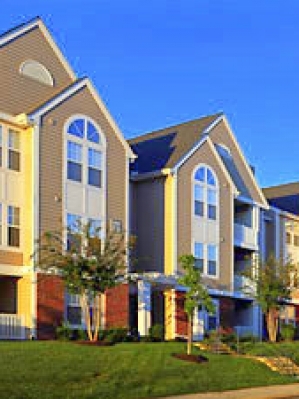 We have the knowledge and experience in working with each and every insurance company. 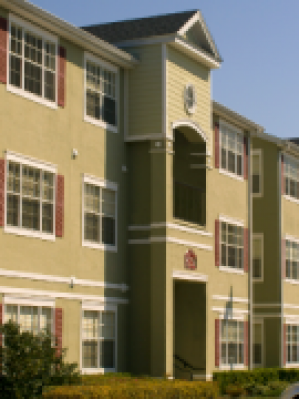 Our track record of success speaks to our comittment to Quality, Honesty, and Integrity. 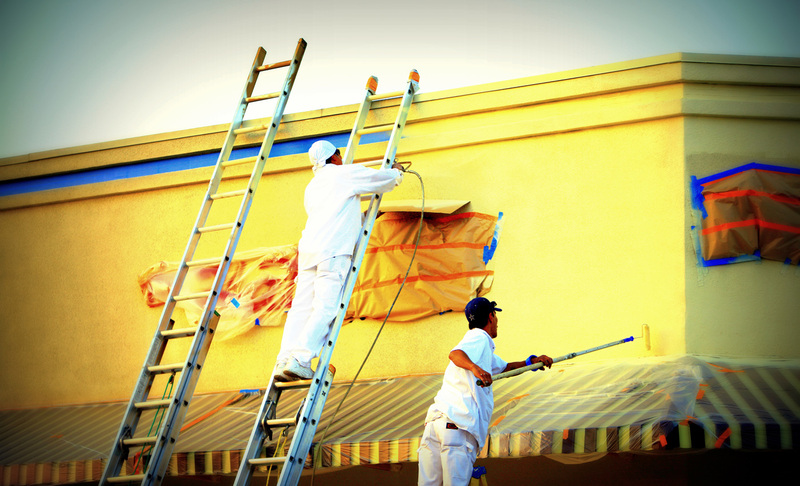 Tyco Roofing ("us", "we", or "our") operates the www.tycoroofing.com website (the "Service").